Want to impress guests this summer? Our food editor Alana knows attention to detail is always the key to being the perfect host, and with (hopefully) lots of sunny days ahead of us ice cold drinks are the perfect way to keep everyone cool in the heat. 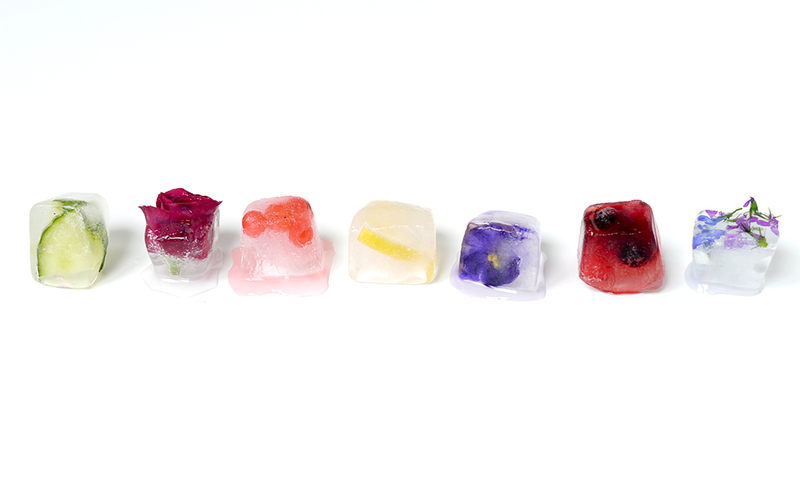 Ice cubes with a twist are our latest obsession, and you probably have everything you need sat in your kitchen right now. 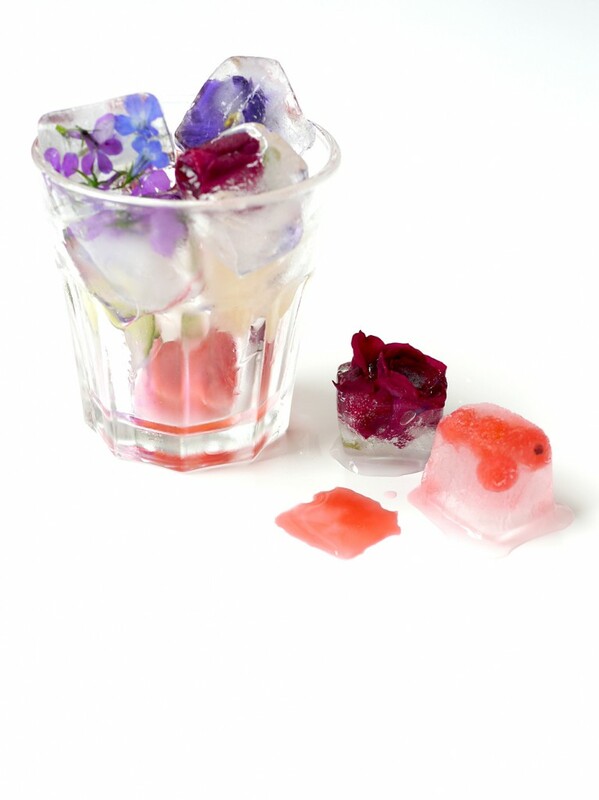 An ice cube tray, water, a kettle and various herbs / flowers or fruit will transform your summery cocktails. 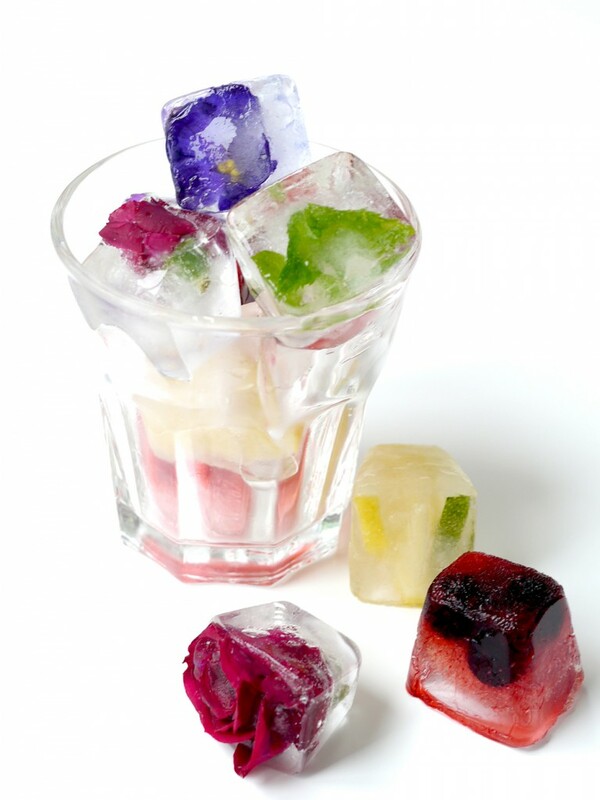 Fill each ice cube hole with your chosen fruit/herb/edible flower. Pour water into each hole, cover the tray in cling film and freeze overnight. For clear ice cubes, double boil filtered water, leaving to cool in between and before pouring into the ice cube tray.